I have friends who go away for nice weekends like this one. I hear people cutting their lawns, see them raking and fertilizing. Some are sitting on the front steps sipping a brew. Bikers and classic cars are passing my house every 10 minutes. But, due to the joys of home ownership, I was stuck in my back yard digging a hole. I have a major plumbing issue, and decided to do the digging myself. I needed the exercise, but am already regretting the decision. So, to take my mind off it I sat down to pick some spot starters for next week. I have some holdovers from last week, and even some from Week Three. You know if I have written about a guy for three weeks that he is likely on all my rosters, and likely soon to be off the under 50% owned wire status. As we get deeper into May the well of rosterable starting pitchers starts to dry up as teams lose pitchers to long term injury, or experiments like Matt Harvey fail. Then we must go to the well for plan B while there still is one. Or we can keep researching spotters and see if we can spot start our way to a championship run. It can be done. ***Two Start Pitcher***Tanner Roark, RHSP, WAS (47.2% owned in ESPN) vs PIT MON & Vs PHI SAT: I still think Roark should be owned in most leagues. But, since he is not, I’m going to at least spot him for this two start week. So far Roark has a .182 Batting Average against, a number that will likely regress to the mean soon enough, but right now he is dealing. He has a 3.77 ERA and sterling 1.00 WHIP. He has been a bit up and down so far this season, and most of his runs have come from homers. This week coming he has two very nice match-ups. First he gets the Pirates at home on Monday. The Pirates are sporting a wOBA against RHSP away of .273 & hitting .222 in the process. Then he gets the Phillies at home on SAT. The Phils wOBA vs righties away is .287 & .221 average. These are both must-starts. If he is out there on your wire just go get him. has been mostly reliable so far this season for the Yanks, and with the Yanks play of late he should get some run support which is important if you count wins. His biggest roadblock so far is his command. He is walking too many to go deep into games so he is only pitching an average of five innings. Once he gets his command in line he should start going 6 plus innings. The Houston start sounds scary at first, but the Stros have only managed a .273 wOBA and .220 BA at home against lefties. The Indians have a 22nd ranked in the MLB .277 wOBA away vs lefties and .207 BA. They are 26th in the MLB in runs scored. I think these are both fantasy must-starts. been watching Newcomb for a while and would agree if you said he’s had mixed results, but mostly good. He’s sporting a 34/14 K/BB in 27.2 innings, so he is greatly contributing to your saves total. However his 4.23 ERA and 1.482 WHIP scream inconsistency. True enough as he gave up four runs to CIN his last time out but only gave up 4 toatal runs in three starts vs the Yanks, Cubs and O’s. This week he gets a couple of good matchups. He goes to NY to face the Mets who have a .304 wOBA and .260 BA against LHSP at home. Then he’ll get the Giants at home on Sunday. The Giants are playing with only a .260 wOBA and .195 average against LHSP on the road. I’d use both of these but the Giants game is a must-start. Brandon McCarthy, RHSP, ATL (19.4% owned in ESPN) vs SFG FRI: Another old reliable spot starter who is borderline ownable (I own him) gets a primo start next week. This is a fantasy must-start for sure. He does have a start today (Sunday) which i have him active for. So far he has a 19/9 K/BB in 26.2 Innings and a 3.38 ERA with a 1.33 WHIP. For the same reasons as his LH team mate Newcomb, the RHSP McCarthy gets a Giants team at home in Atlanta that has a .295 wOBA and .247 average against RHSP on the road. I like Newcomb better this week but if you had to settle for McCarthy his one start should be a good one. Tyson Ross, RHSP, SDP (24.3% owned in ESPN) @ SFG TUE: Yes, I’m picking on the Giants now. And, one of these weeks Ross is not getting dropped back to the well. Don’t look now, but Ross has a nice 31/10 K/BB in 29.2 IP. He did give up 4 runs in 4 IP in his last start but before that only gave up 1 run in 15 1/3 IP. Among their other problems, the Giants have a .300 wOBA and .239 BA against righties at home. I still have Ross from this week’s start on most of my teams. I’ll hang on to him for another week. I’ll save my transaction fees. Tyler Mahle, RHSP, CIN (6.9% owned in ESPN): Vs MIA SAT: I’m starting to like this guy even though he looks like Phil Hughes. In his last start he logged 11 K’s against two walks. It was against the Reds and was his 2nd QS of the young season. He know has a 31/9 K/BB. His main problem had been HR, but the Marlins don’t do a lot of that. He gets a Miami team on Saturday that is dead last in the MLB in wOBA away vs righties at .242 with a .190 batting average. I’m reaching deep into the Abyss for a must-start right here. Ooops, that sounded a bit like the plumbing problem in my yard. ***Two Start Pitcher***Jhoulys Chacin, RHSP, MIL (4.1% owned in ESPN) @ CIN MON & Vs PIT SUN: Though he has been a frequent flyer in my spot start articles for years now, this is my first week Rockin Chacin in 2018. But these two match-ups are too good to pass up. He goes to Cincy Monday where the Reds are playing to a wOBA of .292 and a BA of .229 against Righties at home. The Pirates will be playing in Milwaukee against Chacin. They have a wOBA of .273 against righties on the road which is 28th in the MLB, and hitting just .222. I’d say these are borderline must-starts for me. ***Two Start Pitcher***Trevor Cahill, RHSP, OAK (8.1% owned in ESPN) Vs BAL FRI: Cahill is another pitcher I picked up for this past week and will hang on another week. He has a 14/4 K/BB so far after a late start to the season, and a 2.25 ERA and 1.083 WHIP. The injuries appear to be behind him now, though his most recent start against the Rangers in Texas was not as good as his first start. This is a much better looking match-up. He gets the Orioles at home. The O’s are playing to a .301 wOBA and .238 BA away vs righties. They also are one of the most prolific strikeout offenses in the MLB which makes this a must-start as well. His wife and dogs are all counting on him next week. Daniel Mengden, RHSP, OAK (7.2% owned in ESPN) @ SEA THU: Riding on the coat tails of his no-hitter teammate, Mendgen is on a roll of his own. He’s been pitching pretty well, with a K/BB of 23/4 in 32 innings. He pitched yesterday, Saturday and got knocked around by the Astros . Prior to that he had only given up 8 runs in his past 4 starts which included 2 wins. This week he gets the Mariners in Seattle where they are only working to a .288 wOBA and .230 BA against righties at home. He’s also got the coolest moustache in baseball. Derek Holland, LHSP, SDP (1.5% owned in ESPN) Vs SDP: This is my final must-start of the week and I’d be surprised if you could not find him on the wire. Hurry up before someone else reads this. The San Diego Padres are playing to a wOBA against lefties on the road of .266 with a .212 BA. Holland is pitching OK right now, partly due to a .220 batting average against, leading to a 1.24 WHIP. His 25/11 K/BB so far is pretty nice as well. He will deliver a gem now and then when the matchup is right, though it may not be more than 5 or 6 innings. Be prepared to drop him after the SD start. If you have a deep league and the wire is sparse, here is your gem. Ian Kennedy, RHSP, KCR (20.2% owned in ESPN) Vs DET FRI: I’m not ready to drop him yet, so he is still a hold on my teams. He injured his foot during his last start after a Ryan Braun line drive hit him, but claims to be ready to make his next start. Had it been vintage Ryan Braun he may not have been so lucky. Kennedy was not sharp in that start giving up 4 runs in 4 innings. Prior to that game, however, he gave up 4 runs in 14 innings total., giving up 2 runs or less in 3 of his starts so far in 2018. His next start is at home against Detroit on Friday. Detroit is playing at a .279 wOBA against righties on the road which is 27th in baseball, with a .215 BA. I’m banking on him for one more good start. Well, the Mets activated the long awaited savior Jason Vargas. He was signed in the off-season to provide stability to what looked like it was going to be the NL’s best starting pitching staff just a couple of years ago. It was thought that Zack Wheeler would be the odd-man-out when Vargas was activated or that they would toy with a six man rotation. Wheeler stayed and had pitched two quality starts before giving up four runs in four innings pitched to STL on Tuesday. Today he faces the Padres in SD, which on paper should be a quality start opportunity. Instead, the Mets dragged Matt Harvey and his bruised ego kicking and screaming to the bullpen. It could be worse Matt. Wheeler started the year in AAA ball. The Dark Knight had gotten hit hard three starts in a row, and now in two bullpen appearances he gave up a run in each and has only one strikeout to show for it. The other member of this suddenly scary rotation is Steven Matz who has a 4.98 ERA and 1.30 WHIP on the young season. Most troubling is that in 3 of his 5 starts, including the last two, he has failed to go even 5 innings, and that is all he pitched in the other two. Jason Vargas to the rescue. In his first start, this weekend in SD, he only gave up 9 runs in 3.2 innings pitched. Things have to get better, no? No. There are definitely a lot of good match ups to pick from this week and I could have added quite a few more. We also have plenty of current year data now to use so I won’t reference 2017 any longer unless there is something relevant. 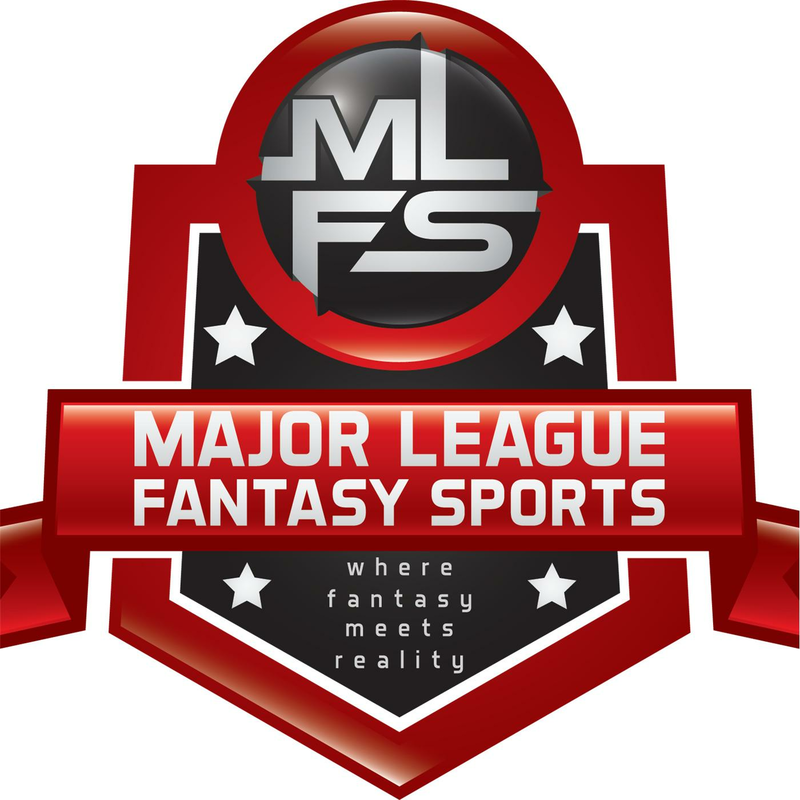 Till then, I’ll be on the Reddit fantasybaseball Sub all day Sunday talking spot starts and all things fantasy. If you want to reach me directly email at joseph.iannone021@gmail.com or Tweet me @joeiannone01.